Neither rain, nor cold, or even more rain, can stop the delightful harbingers of springtime that are blooming all over Clay and Limestone. The delicate white or pinkish flowers of ephemerals bloom early in spring, set seed, then disappear until the next spring. I love them all~But, please, don't ask me to choose which one is my favorite. No way, not now, not ever, would I be able to choose. Would you choose the candy striped Spring Beauty? Claytonia virginica's flowers are about the size of a dime with five petals that spread wide as the sun warms them. From a distance, the flowers appear white, but, each petal is suffused with a delicate network of pastel pink veins. Those pink veins are nectar guides. Spring Beauties are pollinated by over 100 species of insects. That's a lot of bees, flies and other winged creatures relying on nectar and pollen. That makes them an important early food source. Does your taste run to hepaticas? Another, small and delightful white flower that leans toward pink. It appears to emerge leafless from the soil, but, if you look closely you'll see last summer's deep purple brown, heart shaped leaf nearby. Be careful when you're cleaning them up each fall~those leaves are an important food source for the plant all winter. Small bees collect pollen, while Syrphid flies and other flies feed on the pollen. Bee visitors include honeybees, Small Carpenter bees, Andrenid bees, and Halictid bees. Perhaps, you would choose the perfumed flowers of Cut-leaved toothwort! This is a common plant in Middle Tennessee, but that would never detract from its charm. If you have one plant, you will soon have more. It spreads by rhizome and seed~But, don't be afraid...It's an ephemeral and will disappear after setting seed. 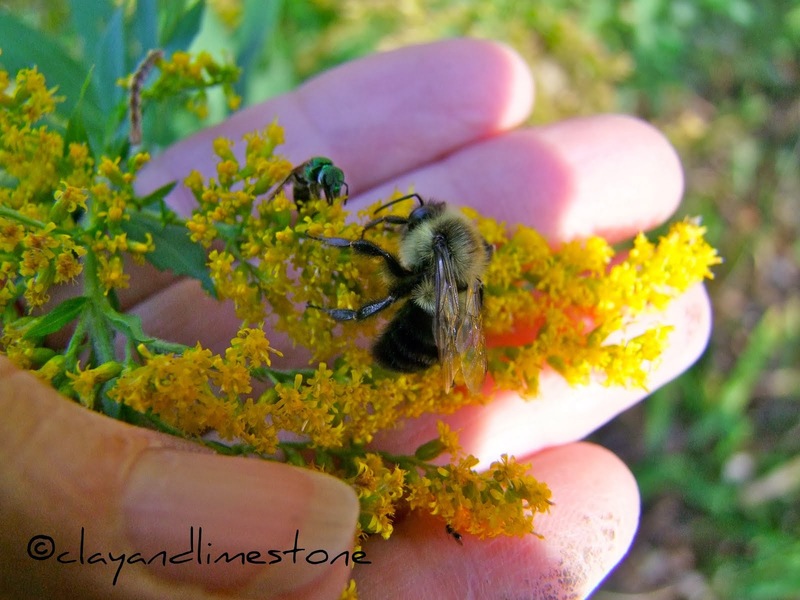 Look for honey bees, bumblebees, Mason bees, Cuckoo bees, Miner bees, Halictid bees, and Andrenid bees. False rue anemone is a lovely ground cover with columbine like leaves and the sweetest delicate white flower that is often confused with Rue anemones ( Thalictrum thalictroides). This is another little spring flower that makes pollen, but, no nectar. Small bees and flies visit to collect or feed on the pollen. Harbinger-of-Spring is the earliest and smallest of the spring flowers to bloom in my garden. The pure white flowers and chocolate colored anthers contrast beautifully and, are surely, the reason for one of the common names, "Pepper and Salt". Little Carpenter bees, Mason bees, and flower flies visit for nectar. It grows in rich moist woodlands. What do you think is emerging! So, tell me my friends~Could you choose a favorite among these pretties? I love the Spring Beauties the best, most likely because they are so abundant here in spring, in lightly wooded areas especially. I wish there were some in my suburban yard! All so sweet and lovely, dear Gail. The Spring Beauties remind me of a childhood awash in them in the lawns of Oklahoma. They were considered nothing but weeds, but allowed to stay because there was no spraying. They made perfect fairy bouquets. Oh, Gail . . . the light is so beautiful in most of your gorgeous photographs! I love them all and like you could not choose which is a favorite. . . from these jewels blooming for you now. Hepaticas are one of my all time faves though. The other blooms are just as delicate and sweet. Is that a Trillium coming up? Lovely post! Have a great weekend. how beautiful and delicate these early spring flowers are...i can't wait to see mine and I could never choose one over another.. They are so sweet. I can't pick a favorite either. Nice! I bet that last one is Trillium. I need to plant more ephemeral plants! Your photos have brightened my day. I have about two more months to go before these natives will be flowering in my yard. I am so happy to see your blossoms for my garden is a bout a week behind the Nashville gardens. I am so looking forward to it. My heart races with anticipation after seeing these beauties. I couldn't pick a favorite if I tried. I just know soon I will be able to walk out and see some of these little jewels of spring dancing in the sun. Gail, while I love the spring bulbs it is so nice to see some native spring wildflowers. Although they don't have the flash of some bulbs they are truly beautiful in their own right. Wow! Those are amazing! I love spring ephemerals, I don't think I could choose a favorite either. I put in a Hepatica this past year, but no sign of flowers on it yet. The false rue anemone reminds me a bit of a peony, but I'm sure it is much smaller. Hmm....I do really like that harbinger-of-spring with the chocolate anthers. I'm absolutely green with envy, Gail. No blooms in my gardens and very little bud swelling going on. I feel so refreshed walking through these beauties. Lucky you! Oh, Gail... what gorgeous, gorgeous blossoms! While all are stunning that spring beauty took my breath away. Oh, yes, I can choose a favorite from your bevy of beauties - it's the Hepatica. It's the fab foliage that tips the scale for me. Harbinger of Spring! What's not to love? The name! The flowers, the subtle and elegant two tone colouring. What a great collection of spring beauties. I can't choose a favorite. 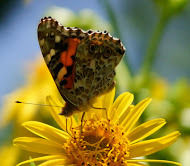 You certainly are the 'go-to' gal for wild flowers in this area. I recognized the trillium as well, but I see others did before me. I have never seen spring beauties "in person," so it is strange to hear others talk of how plentiful they are. And I wonder if I have the true rue anemone or the false one up in our woods? I thought it was the Thalictrum, but now I am not so sure. You sure have some pretties there! I don't think I could pick a favorite. I have not had a bloom yet, but you saw the green I posted, including the plastic. LOL I'm just glad that I was able to get out and get the clean up started and get some lettuce and such planted. Being ruefully uninformed about spring ephermerals, I can not pick a favorite. But from your pictures, I am drawn to the Claytonia. I love the spring beauties, Gail, but I would be glad to have any of these in my yard or garden. You've made me realize that it's time to take Sophie to the nearby forest preserve again and look for some spring ephemerals ourselves! I envy all your blooms. So different and much more than what I have. Favorite? If any of these lovely plants was ever crazy enough & brave enough to live in ATX that one would be my favorite, Gail! They are all so delicately beautiful! There is no way I could pick a favorite among those beauties. My toothwort didn't bloom last year ~ I hope they do because I really missed them last year! You have a wonderful collection of early spring flowers. They're all so great -- I'm with you, there's no way to choose a favorite. But what a delight now that spring is unfolding to see flowers pop open and leaves start to expand! You do have a great selection of spring beauties. My fav might be the Hepatica. It is a gorgeous shot. Such delicate and pretty ephemerals greet you in the spring. We have few of those here because our weather is so harsh. But I love looking at yours. Thanks for sharing. Impossible - and invidious - to choose a favourite, but I do know what is top of my "to buy" list ready for next year - hepaticas. This blogging thing can get expensive. Last year it was asters I got converted to because of all the beautiful profiles on the blogs. This year, so far, hepaticas. the broadcasting game with the soontobelaunched Fox Sports 1.